Wash the mushrooms and carefully remove the stalk from the centre. Drizzle olive oil into the centre and place mushroom up side down on to the barbeque to heat for 2 minutes. 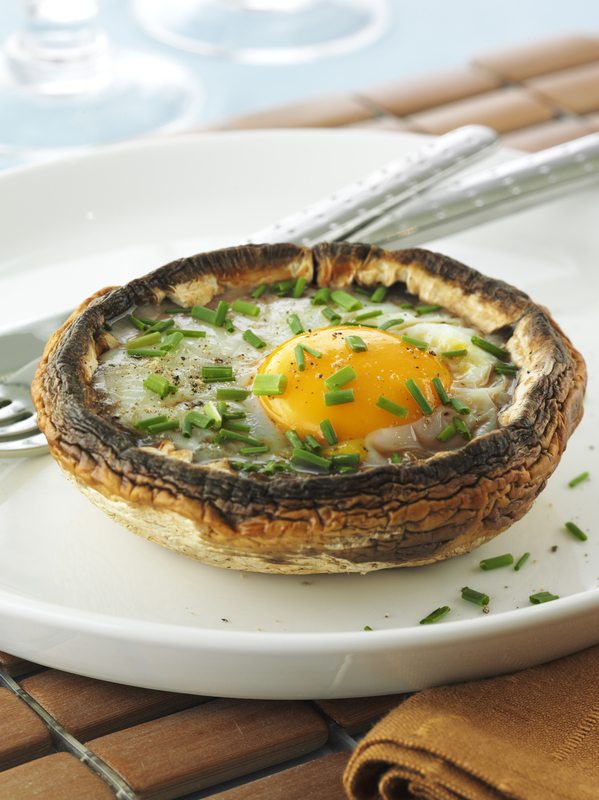 Crack the eggs into the mushroom cups, close the lid of the barbecue and cook for 2 to 3 minutes or until eggs are cooked. Season and sprinkle with chopped chives. Tip: If your barbeque does not have a lid, cover the mushrooms with an upside down oven dish or aluminium foil roasting tray.